Robots have revolutionized the manufacturing and industrial world in recent decades, and are starting to make their move into the wider world of business as well as our homes, too. While robotic workers are now commonplace in sectors such as automobile and electronics manufacturing, 2019 should see increasingly widespread adoption across food production, retail, healthcare, and distribution operations. So here's my rundown of some of the top predictions of where automation and robotics are set to make waves in 2019. Besides robotic vacuum cleaners, the idea of home assistance robots has been slow to take off so far. Could that change in 2019? Indeed a whole breed of startups and established companies are betting that it will. From robotic companions for the elderly to robots designed to feed, play with and care for pets while their owners are out, the apparent applications are plentiful. The breakthrough will come when companies have gathered and analyzed real-world data on what people do, and don’t, want from robots. Robotic vacuum cleaners took off because they filled a real need, and were able to affordably carry out the duty they were designed for. Other robotic assistants – such as mobile virtual assistants – have not been so warmly received. Promising projects which will hopefully leave the starting blocks this year include Nvidia’s collaboration with Ikea, which aims to develop the first commercially successful robotic kitchen assistant. Could 2019 be the year that tech companies finally get the recipe for domestic robots right? Robotic delivery devices are hotly tipped to solve the “last mile” problem inherent to delivery operations – the most expensive stage of the delivery process where many small, individually packaged products must be precisely targeted to reach their final destinations on time and intact. Some of these robots are designed to work in large indoor environments – such as Segway’s Loomo robot, which carries out the delivery of internal mail in workplace settings such as office blocks and shop floors. Others, such as Nuro, designed by a team of Google engineers, will take to the streets to deliver fresh groceries as well as hot food, thanks to its separate heated and chilled cargo bays. Nuro is already carrying out deliveries in parts of Phoenix, Arizona – a hotbed of robotic activity thanks to its grid-like streets, which are also hosting the world’s first autonomous taxis, thanks to another Google spin-off, Waymo. Of course, there is also the delivery of parcels via airborne drone delivery – which Amazon is working on, and JD.com has already put into practice for the past year. 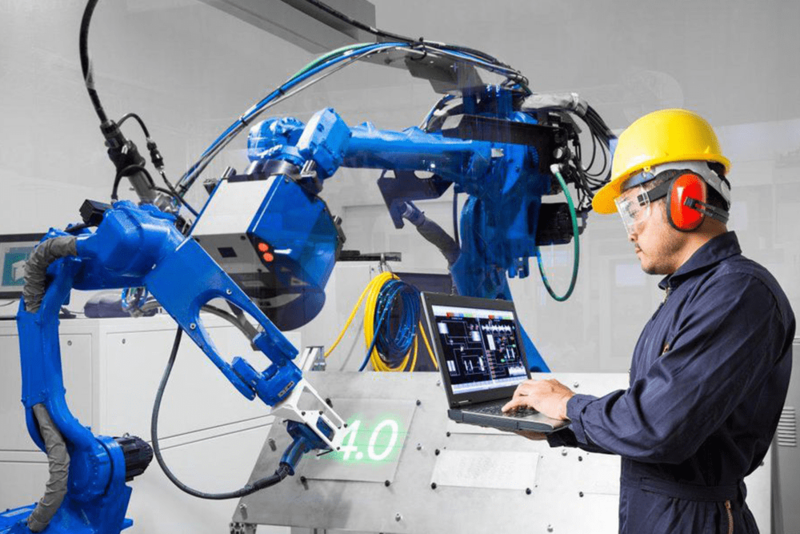 Collaborative robots – or cobots – are the friendly face of workplace automation – not here to steal away our jobs, but to work alongside us, providing timely advice or simply mechanical muscle at times we need it. As robotic technology becomes more widespread and deployment costs fall, businesses will realize that they can drive efficiency by deploying robots in environments which are unsafe or inhospitable to humans. Amazon's warehouse robots are a good example – as they bring items to human workers for packaging, only comparatively small areas of their vast real estate portfolios need to be heated and made comfortable for the humans who work alongside the machines. Collaborative robots may also provide an avenue for companies to avoid the wrathful eye of the regulators, as they look to impose punitive measures on businesses which replace humans with automation. Politicians have already proposed “robot taxes” to cover these eventualities – fostering harmonious working relationships between humans and machines could be a trend which will set people’s minds at ease in 2019. Robots made ideal platforms for edge computing – building sensors into the extremities of automated systems, where machines meet the real-world environments they are built to influence. During 2019 we can expect to see advances in smart sensors – sensors with inbuilt artificial intelligence – reducing the need for information to be sent to the cloud or centralized servers for processing, before it can be acted on. Those leading the charge include Baidu – which has just unveiled China’s first open source edge computing platform, OpenEdge, which will allow developers of robots to empower their creations with AI, reducing CPU and bandwidth overheads used by cloud infrastructure. This should enable smarter, more autonomous robots to begin to appear in homes and industrial settings throughout 2019. Speaking of open source – 2019 should see a consolidation of the standardization needed for AI enabled robots to achieve mass market penetration. Regulators will have a part to play here, as frameworks are put in place to govern the ways that personal data can be collected and used by autonomous machines, including self-driving cars but also autonomous home and industrial assistants. With the legal framework offering reassurance and trust, real innovation is likely to emerge from the open source community itself – already a hotbed of robotic development and activity. Amazon recently announced the launch of its AWS RoboMaker platform, built on the open source Robotic Operating System (ROS) standards. This lowering of the entry barrier towards involvement in the development and deployment of robots should mean more organizations of all shapes and sizes stand to benefit from the robot revolution over the coming 12 months.